Hardware, SIM cards, server, cloud? From now on, you can use a single contact partner! and considerably reduces development time before market launch. Use the advantages of this integrated solution for your global connectivity. Sierra Wireless offers suitable hardware for IoT applications. These are already integrated into the IoT Acceleration Platform. In addition, you can also use other hardware with the IoT Acceleration Platform. MQTT, LWM2M and HTTP(s) are supported as interfaces for this purpose. The multi-operator service allows for the integration of several operators using a single SIM card. You can make better use of existing networks compared to using a conventional mobile phone operator. This advantage provides optimal mobile coverage and increases the quality of the mobile data services. Sierra Wireless also allows you to use the eUICC service to achieve additional flexibility. The platform further offers interfaces to the SIM management services of other mobile phone operators. You can thus use one platform to manage all your mobile devices. Focus on your customer requirements without having to design a new IoT infrastructure. You can thus reduce the technical and financial risk of the infrastructure implementation and rapidly bring your application to market. 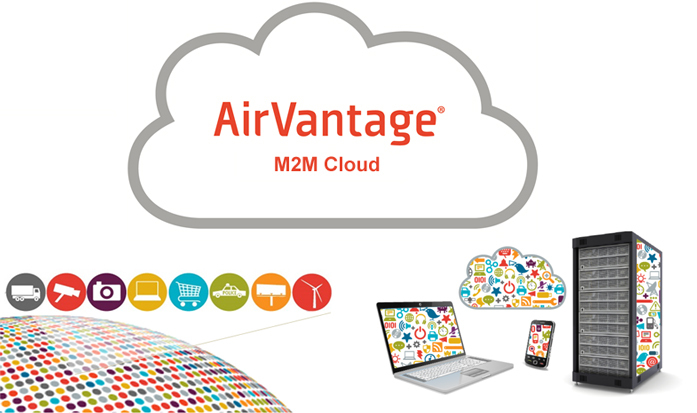 The AirVantage Management Service offers interfaces to Google Cloud Platform and Amazon Web Services. You can thus store your important data easily and quickly and retrieve them at any time. You can also share our IoT data with any other cloud system through the AMQP Connector Service. All parts fit together in the IoT Acceleration Platform! We will gladly introduce the platform to you in more detail with a personal presentation and design your individual IoT application together with you.